The times of in between can be rough. One particular in between season I never expected has set in on us recently - the in between stages of reading. The oldest knows enough to fly through the easy readers, first books, etc, and yet is not quite confident enough to really dig into traditional chapter books. Thankfully he is still game to sit with mom or dad and read a few chapters a day from some classic children's chapter books, but I know those days will probably be nearing an end soon as well. The best solution we've come across for right now is graphic novels. These modern comic books are full of pictures and imagery while giving kids the chance to build their vocabulary and confidence in reading. 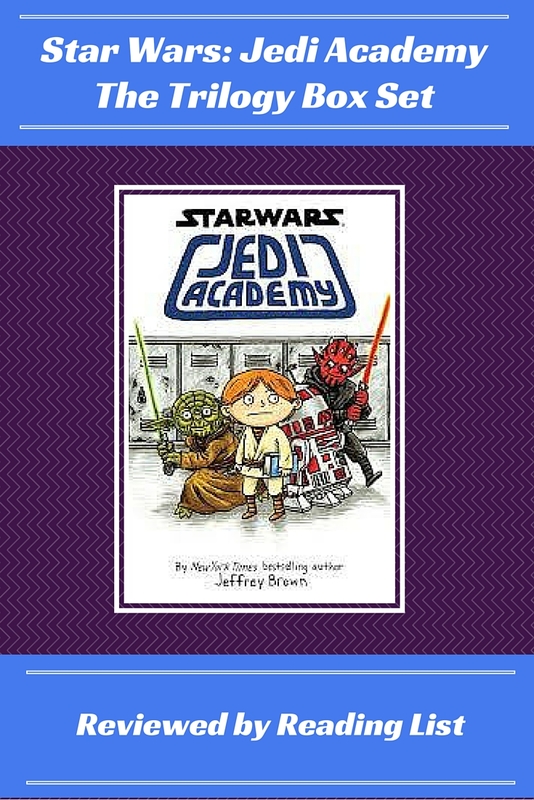 The current go to is a trilogy by Jeffery Brown - Star Wars: Jedi Academy - Box Set** . 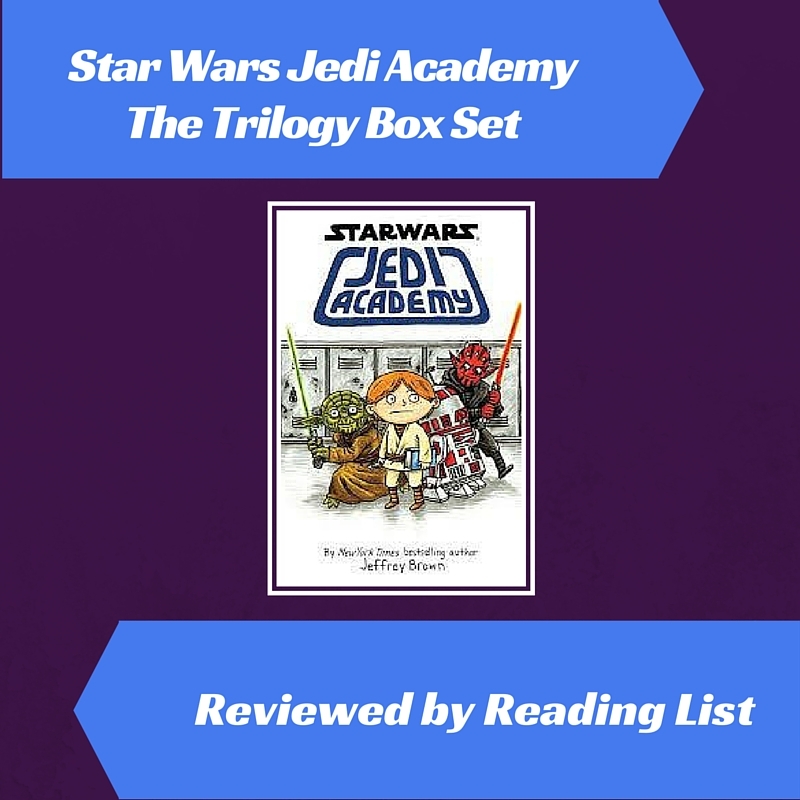 Jedi Academy, Return of the Padawan & The Phantom Bully make up the Star Wars trilogy in this graphic novel set. 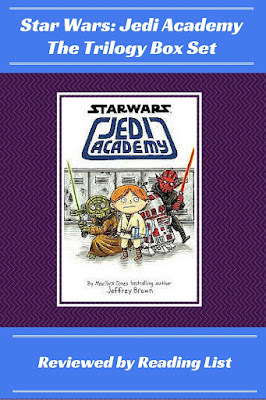 The Goodreads description of Star Wars: Jedi Academy - "This incredible, original story captures all of the humor, awkwardness, fun, and frustrations of middle school--all told through one boy's comics, journal entries, letters, doodles, and newspaper clippings. The setting? A galaxy far, far away... Roan's one dream is to leave home and attend Pilot Academy like his older brother, father, and grandfather. But just as Roan is mysteriously denied entrance to Pilot School, he is invited to attend Jedi Academy--a school that he didn't apply to and only recruits children when they are just a few years old. That is, until now..."
The boys enjoy these books because they are silly and fun - think Diary of a Wimpy Kid, when it comes to the humor and pacing of the story. As it is about a Middle School kid, the plot is simple and expected, but that is what makes the series perfect for young kids stuck in the in between stage of reading. The pictures - comic book style - help to fill in any gaps that a lack of vocabulary knowledge might create. I also think this is a great tool, as most graphic novels for this age group (8-12 technically), because the medium allows the reader to really grasp the idea of how conversation advances stories in novels that can often be difficult for early readers to grasp. And really, any book that keeps my kid reading, turning pages and looking for more is a win in my book! Just in case these graphic novels inspire your kid to create their own comics check out these helpful links! If just the idea of writing interesting dialogue scares off your kid, or even if you need some new words to supply your writer with, stop by the Write Prescription for colorful charts full of new words to help spark your creative mind. Have you encountered other in between stages of childhood? Adulthood? How often has a book inspired your child to create something on their own?